At 2:43 p.m. on Jan. 9, the Albany Bottle Drop looks like it has as much business as it can handle. 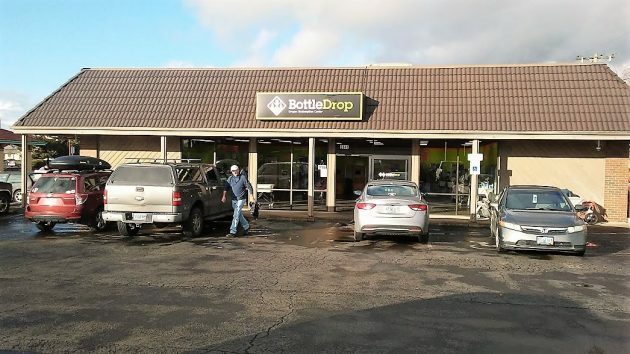 The Portland-based Oregon Beverage Recycling Cooperative opened the Albany Bottle Drop redemption center on Santiam Highway in August 2015 to accept empties from all the major retailers in the vicinity. And it’s busy most of the time, with people bringing in huge numbers of empties, sometimes entire pickup loads. 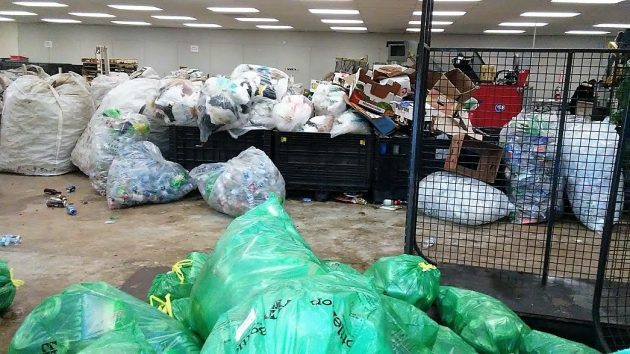 When I returned a single bag of empties on Jan. 9, what I saw through the open bag-return hatch suggested that the Albany redemption center has its hands — or rather its storage room — pretty full. I wondered about the impact of the additional deposit requirement. Albany’s redemption center, shown on Jan. 9, opened in August 2015. Another option is to drop your recycles off at either Jiffy Lube on South Pacific Blvd. or Les Schwab on Santiam Highway. Both have 55 gallon cans sponsored by Takena Kiwanis. All funds raised are used to support local youth programs. That’s interesting. I walked to Millersburg City Hall and back today because it was a nice day and I needed the exercise. I noticed only two water bottles discarded along the way. I wondered if the deposit increase had anything to do with that. Thank you for sharing the WAHS Swim Team annual fundraiser coming up this Saturday. There are a number of local organization who love recycling donations. It’s an easy way for neighbors to help kids in our community. So, we are punished for not reaching our legislature’s target, Let’s remember that next November.